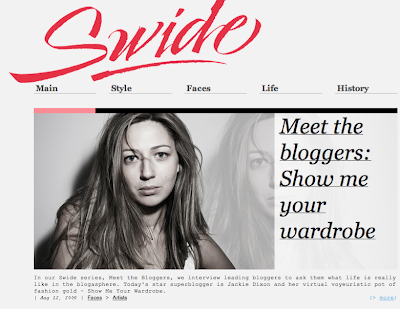 SHOW ME YOUR WARDROBE.COM: Show Me Your Wardrobe in Dolce & Gabbana's magazine, SWIDE. Show Me Your Wardrobe in Dolce & Gabbana's magazine, SWIDE. omg! how awesome!! loved the interview! especially when they asked you if you had any advice for budding bloggers! LOL, genius!